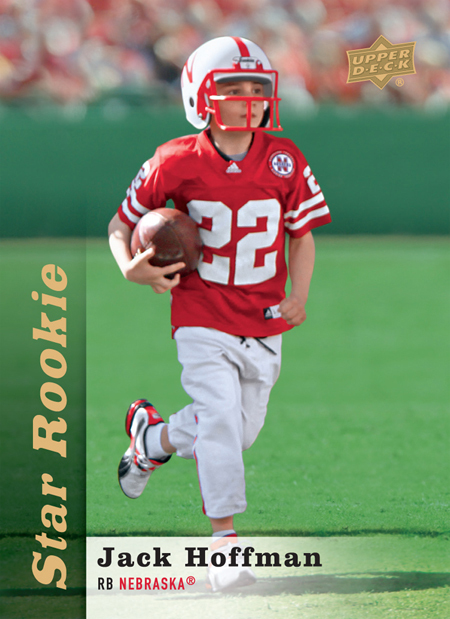 Recently Upper Deck shared details on how the company had received approval to create an actual 5×7 version of Jack Hoffman’s Star Rookie card. The card has now moved forward with production and is currently available for pre-sale with all proceeds going to the Team Jack Foundation. 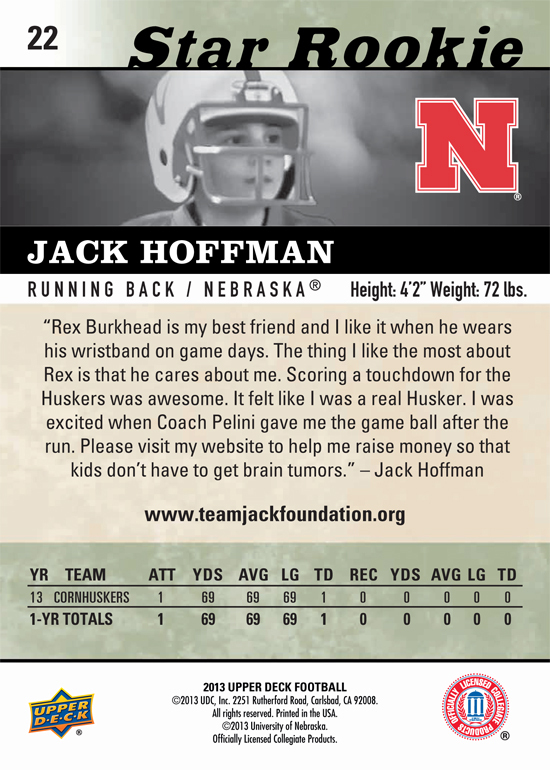 Click HERE to pick up your inspirational Jack Hoffman card today with ALL proceeds going to the Team Jack Foundation! And very recently we received approval for the card back of Jack’s first-ever trading card from Nebraska. It includes text written by Jack about his memorable run and so much more. Enjoy this exclusive first look of the card back. How do we get some of these cards? I have some Upper Deck cards from 93 and 94 i would like to donate to your cause.